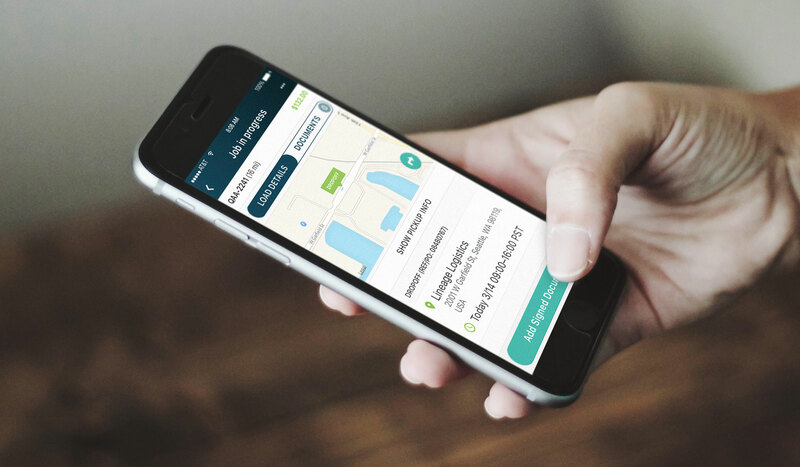 Mobile app that allows truck drivers to view, accept, and complete loads without the hassle of dealing with traditional freight brokers. 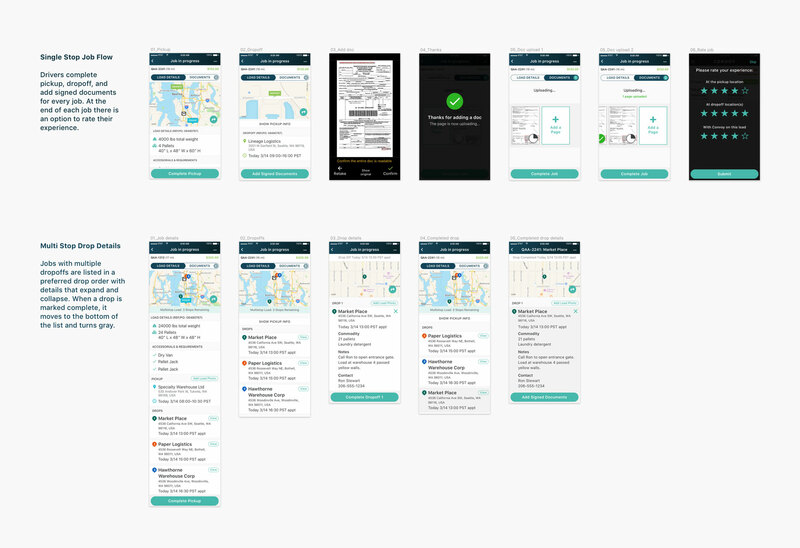 I worked with the Product Manager and Design Director to simplify the job flow experience and make it easier for drivers to add and manage documents, a vital step for completing jobs. 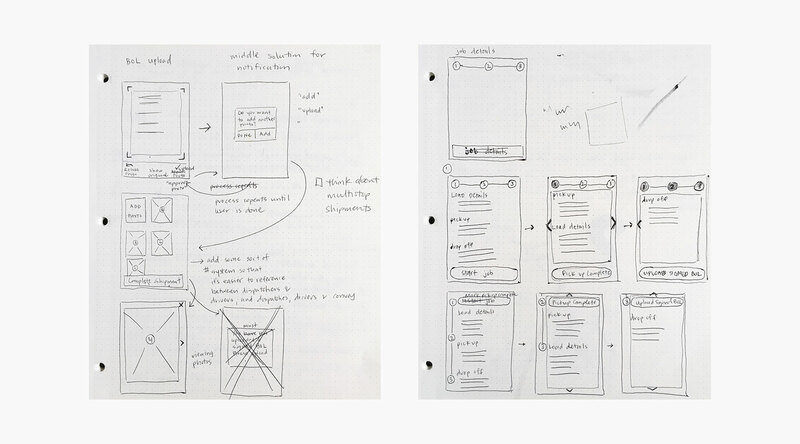 Sketched low-fidelity wires to help visualize flows for key interactions and overall layout. 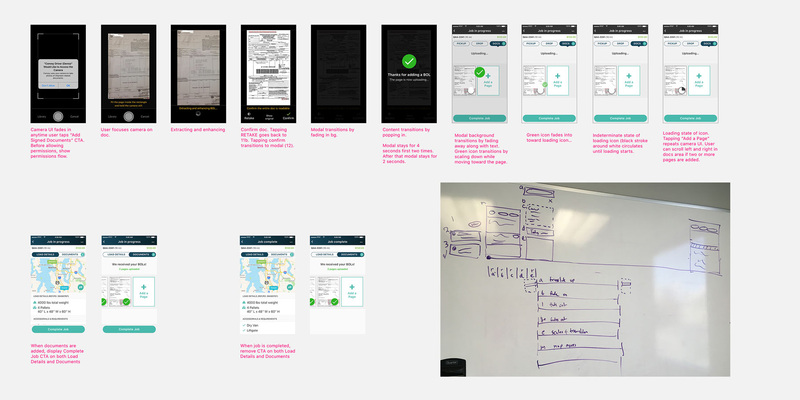 Created detailed designs during sprints and used InVision to build prototypes to test with drivers. 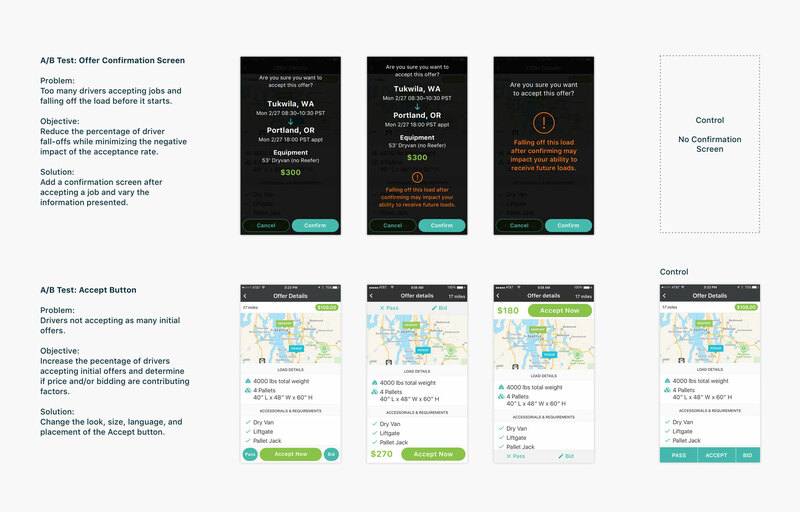 Defined interactions for screen transitions, buttons, and loading spinners. Worked with engineering during sprint planning and costing to review interactions. Provided redlines to keep design integrity high and on-brand. 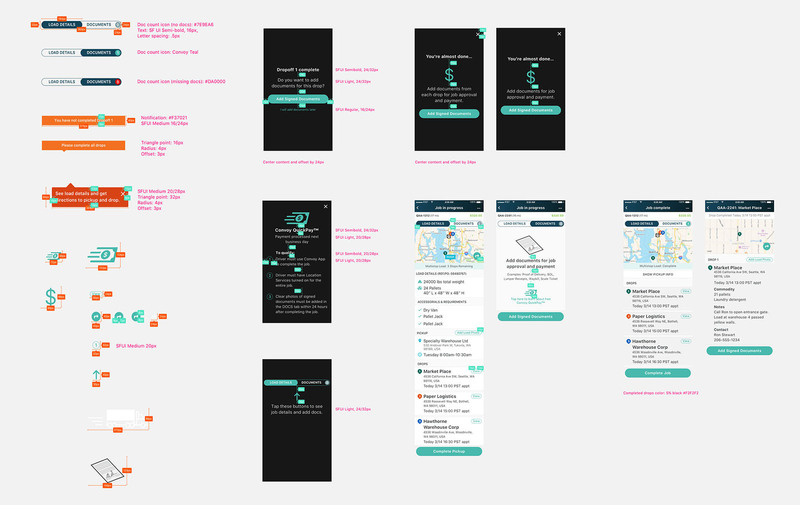 Ran experiments to test modest UX and visual changes to areas of the app that have significant business impact.